In Touch Physiotherapy’s team of highly skilled, internationally trained physiotherapists will assist in treating your injury. Our active and hands on approach to address the cause behind the injury and not just treat the symptoms, will help to speed up recovery and prevent injury recurrence. 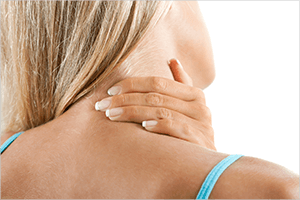 Pain may be localised in the neck, or refer to the head, thoracic spine, shoulder blade or the arm. Pain may be felt in the joint itself or in the muscles surrounding the shoulder and the upper arm. Pain is usually felt locally around the elbow and into the forearm area. Pain is often localised in the bone, joint, ligament, muscle or tendon itself depending on the pathology. Pain may be felt locally in the back or refer to the lower limb such as the buttock, hip/groin, leg or foot. The pain is usually fairly localised to the knee or the thigh depending on the source of the injury.